Dustproof. Waterproof. Shockproof. 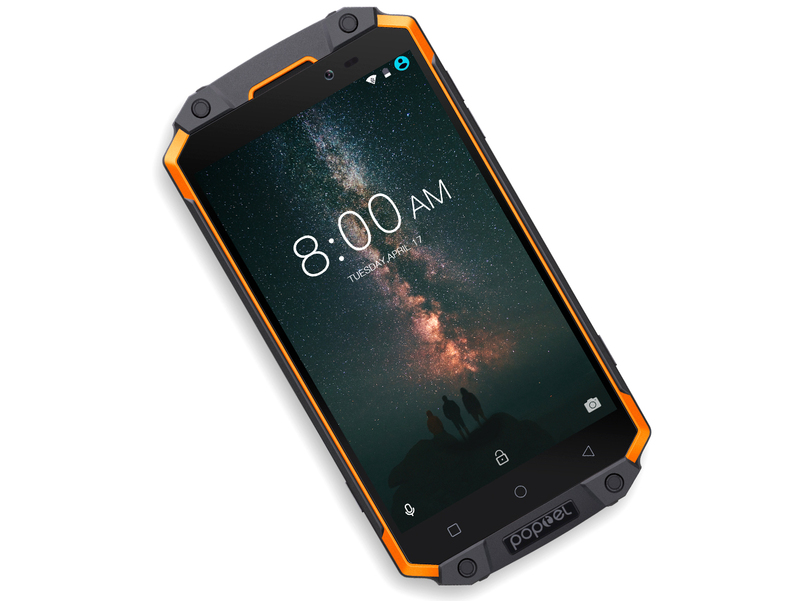 The Poptel P9000 Max with its especially rugged build is aimed at customers looking to use their smartphones outdoors. With a battery capacity of 9000 mAh, this phone is designed for longer periods of time without access to a power source. But is an import of the midrange smartphone worth it? Our review will show. Model: There are only a handful number of phones that you can take with you when you are just 'roughing' it outdoors, especially if it's an activity that keeps the wall charger away from you for a few days. And now, the new Poptel brand is coming out with a phone that will endure the rough and harsh outdoor conditions with you - the Poptel P9000 Max. The P9000 Max got its name from its battery capacity - this rugged phone packs a massive 9000 mAh battery pack. Rather than the conventional micro-USB port, this phone comes with the newer USB Type-C port, and this enables the huge 9000 mAh battery to be fully charged in under 4 hours. The P9000 Max also boasts a two-month SIM-only standby and 30-hour video playback on its fully charged battery. This phone can easily last for your entire weekend getaway. The Poptel P9000 Max runs on the Android Nougat, and it also comes with a 5.5" 1080P Full HD+ display and a 64-bit MTK6750V 1.5GHz Octa-core processor. The 4 GB of RAM and 64 GB of internal storage will be more than enough to store all the photos and videos that you take on your trip. The 13 MP rear camera and the 8 MP front-camera also complement the phone nicely. The unique selling points of the new Poptel P9000 Max are, of course, the durability and the rugged aesthetic of its exterior. The phone's display is protected by the long-lasting Gorilla Corning Glass 3, and the rubberized outer layers of the phone can undoubtedly help the phone withstands any accidental drops (from a maximum of 1.5 meters). The phone is also rated IP68, which means that it is dustproof and waterproof for up to 1.2 meters and 30 minutes, and it can withstand the harsh outdoor environment with temperatures between -20°C and +50°C. The Poptel P9000 Max is also keeping up with the times with its dual-SIM capabilities, a microSD card slot, a high-speed 1-second finger scanner at the back of the phone, 4 powerful LEDs for its flashlight, an optimized and steady gyroscope for its GPS and the support for CAT4 LTE networks. Another exciting feature of the Poptel P9000 Max is the OTG Reverse Charge technology. With its whopping 9000 mAh battery, this feature is a no-brainer, and the phone can now be turned into a power bank to charge up other devices on-the-go. If you are looking for a rugged and durable phone that is both modern and long-lasting, then the Poptel P9000 Max is the phone for you. It doesn't matter if you want the phone for outdoor activities in harsh conditions or to play games in the comfort of your home, the phone will serve its purpose well.